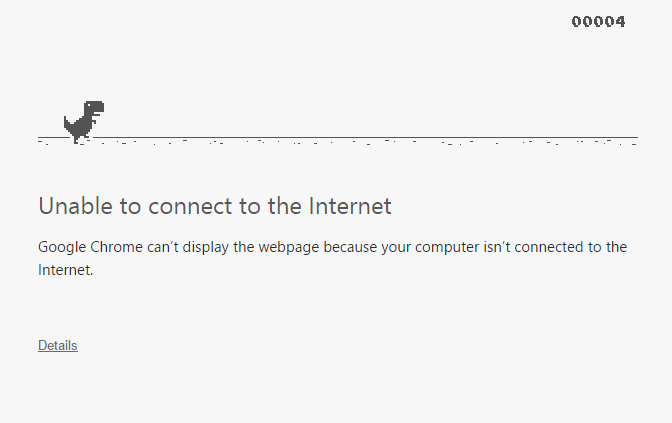 We all know that if you can't connect to the internet while using Google Chrome, you get a little graphic of a T-Rex. Look at him, with his small arms, rolling his eyes at the over-used joke that T-Rex can't hug. Poor thing. 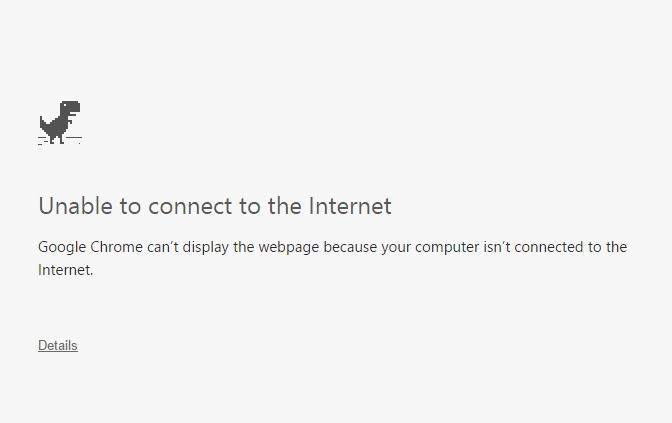 But did you also know that by pressing the space bar on this page that a game begins? 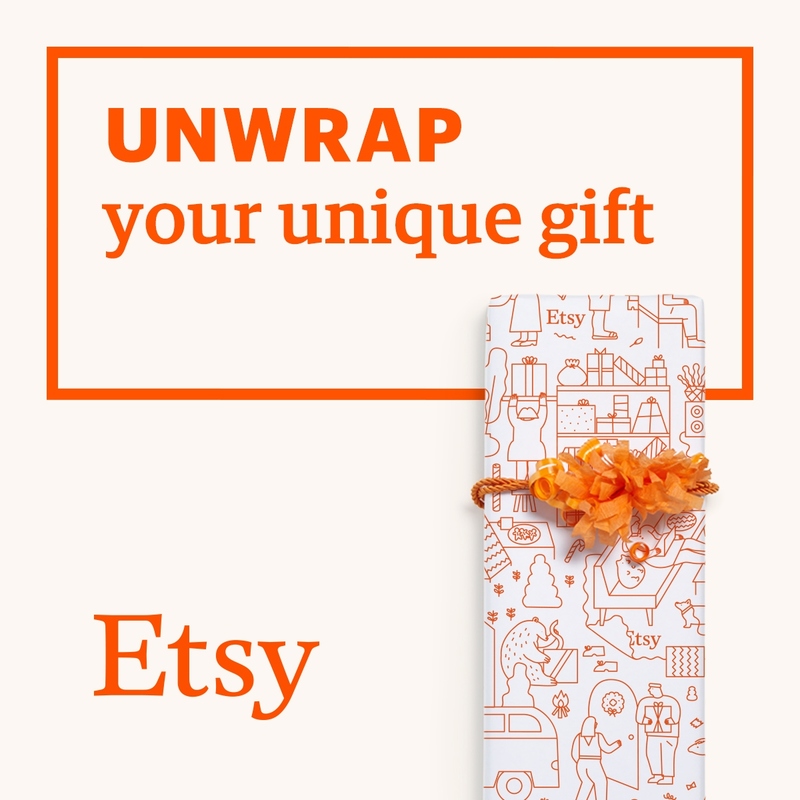 Perfect for refocusing your d/c rage. A floor appears beneath the dino and he starts running. 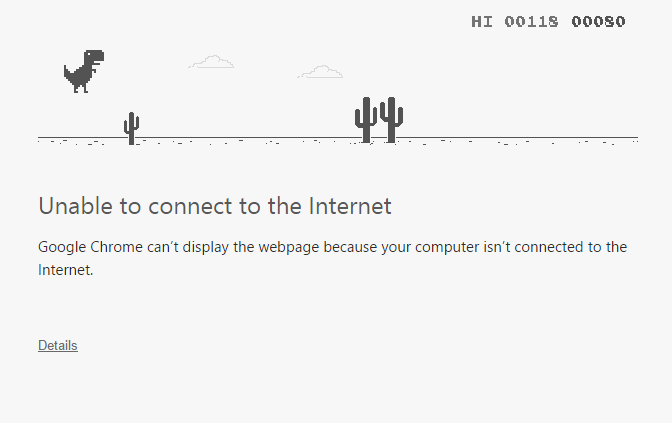 Cacti start to appear which you have to jump over using the space bar, and by hitting them, it's game over. 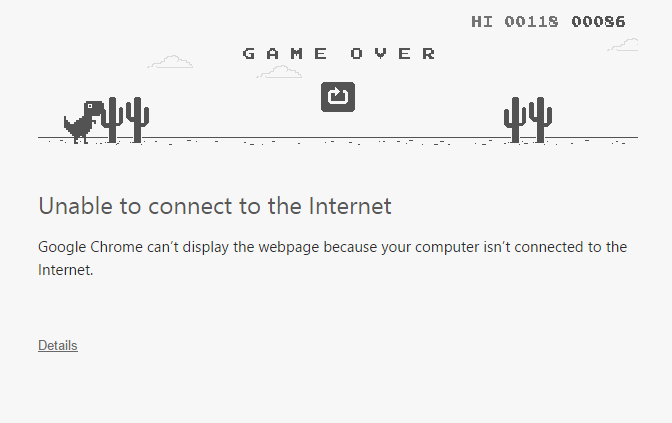 It gets more difficult the longer you're at it, but, internet connection or not, by hitting the little reload arrow that appears once you fail, you can restart the game. 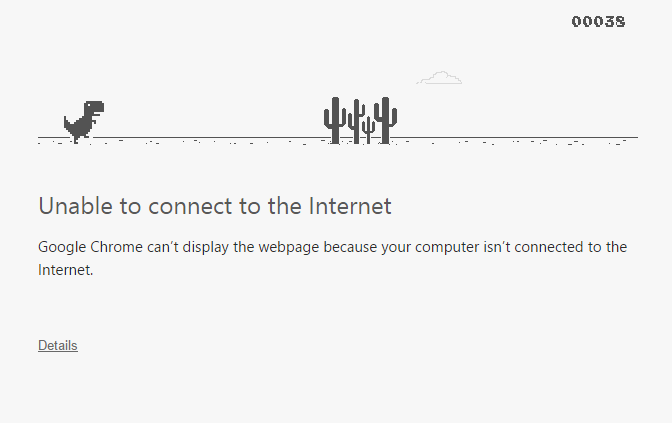 Hours of fun can be had instead of shouting at your modem. I love how his eyes are wide with shock when he hits a cactus.